The South Island of New Zealand is picturesque to say the least. It’s about the many contrasts between oceans, rivers, gorges, mountains, glaciers, towns and lakes. As you drive this trip you’ll be able to indulge just about any area of interest from wineries to fly fishing, hiking to relaxing. You can do as much or as little as you want on this flexible trip that takes in many of the South Island’s favourite places. "From turquoise lakes and lush peninsulas to snowcapped mountains and sparkling glaciers, the South Island's majestic landscapes offer awe and adventure in equal measure." Two package options are available. You have the choice of the Standard or “All-in” package (see below) both of which offer excellent value and inclusions. You’ll stay in New Zealand’s versions of a French country village and a Scottish heritage town and on a couple of magnificent lakes. If you are adventurous you'll never forget the thrill of viewing Franz Josef and Fox glaciers from the air and landing on a snowfield. The scenery around Milford Sound as you cruise Fiordland National Park is magnificent to say the least. This is a first-class, self-drive travel itinerary with hand-picked accommodation and activities that will ensure you really enjoy your NZ experience. The car is an important component as well and we know a standard small car will not do the job as effectively as a 4WD that gives you more space, a bit more height off the road and enables you to navigate the occasional muddy detour with ease. This is the ultimate self-drive itinerary. Want fewer days or you want to include a special activity? No problem, we’ll price it for you. Click/tap the player above to watch this short video about some of the highlights of NZ South Island. Opens in a new browser tab. This itinerary is fully customisable to suit your requirements. See more detailed inclusions list below. You will receive these guides to to help you gain the most out of your holiday. Recommendation: Take the time to read suggestions for things to see and do before you leave Australia. Take your Lonely Planet guides with you in your luggage. The New Zealand Touring Atlas is packed with information on highways and byways of the land of the long white cloud, all presented in the easy to read, easy to store format. 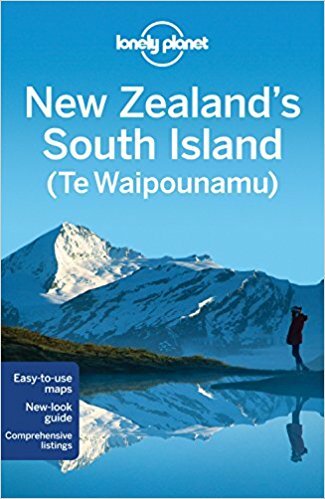 This edition also features updated and improved NZ mapping. * All prices are per-person on a twin-share basis and all bookings are subject to availability. Price and deposit amount varies according to travel date. A flight cost provision (allowance) applies. Total price after Getaway Cash credits and Australian Escapes Free Flights Vouchers is generally payable as follows: Deposit on booking, balance 120 days prior to departure. Packages can be priced for families and groups on request. All prices are estimates only. A firm quote (travel plan) with payment terms will be submitted for consideration prior to booking. Standard (retail) price comparisons are with similar packages offered elsewhere or what would be payable by a non-member for the same package. Flight pricing included in packages or other estimates is based on travel from Sydney, Melbourne or Brisbane. Travel can be arranged from any other major centre and for any number of people. Travel insurance pricing if stated is based on two travellers aged 69 years or less as at the date of departure from Australia. Surcharge applies for travellers aged 70 years and over. Full booking terms and conditions are available here. Arrive in Christchurch and be picked up by the car rental company’s driver who will take you to the depot where you will collect your car. If you arrive around the middle of the day you can set off for the west coast, or we can arrange a night’s accommodation for you in Christchurch with car parking. Stay an extra night if you’d like to include some sight-seeing around this interesting city. If you’re not staying in Christchurch, then on Day 1, you’ll cross the Canterbury Plains to Awatuna, just north of Hokatika. For a late lunch, stop off at the Original Sheffield Pie Shop on the road before you get to Arthur’s Pass. The scenery changes as you cross the plain then constantly as you drive around hills, over mountain passes, across rivers and past lakes and gorges. Recommended activity: Stop at Arthur’s Pass and take one of the short nature walks. Your first night will be at Awatuna Homestead where you’ll experience wonderful hospitality and home-style cooking staying at this B&B as guests of Paul and Lynley. Make sure you accept their invitation to dine-in that night (set menu with wine options, charges apply). Lynley is an exceptional cook. If this is your first B&B experience you will be spoilt for life. Today you’ll head off to visit the town of Hokatika, the home of hand-carved jade jewelry. If you like the look and feel of jade, this is the pace to get it. Find your way to Hokatika Gorge as well to see the blue pools. Recommended activity: Visit Hokatika Gorge. There's a range of natural attractions in close proximity to Franz Josef Glacier Village. Lose yourself in the rainforests, waterfalls, and lakes. In the town you’ll find plenty of places to stay and eat, or relax at the Glacier Hot Pools. Day 4: Drive to Wanaka taking in the scenery and nature stops along the way; enjoy the scenery; dine out at (recommended) “Trout” restaurant. Take your time to have a leisurely breakfast at one of the local cafés before heading off towards Wanaka. Visit the town of Fox Glacier on your way and take a detour to Lake Matheson where you might be lucky to see the famous reflection of snow-capped Mount Cook in the dark waters. There are small towns to visit and the unmissable Southwest salmon farm and café is recommended for lunch (if not too busy). Nestled below towering mountains, Wanaka is the most tranquilly set of the South Island lakes. In winter, skiers flock here from all over the world for superb skiing and snowboarding at Cardrona and Treble Cone. But Wanaka is much more than a winter destination offering year-round activities include fishing and hiking. Day 6: Drive the short distance to Queenstown; check-in to the resort (after 2pm) then drive or walk into town; enjoy the lake-front wharf area and shopping; Skyline Gondola with lunch or dinner. Day 7: Milford Sound tour and cruise. Day 8: Flexible time. Refer to your Lonely Planet guide for ideas. Feel inspired by Queenstown’s stunning scenery, huge range of activities and renowned warm welcome. Surrounded by majestic mountains and set on the shores of crystal clear Lake Wakatipu, the natural beauty and the unique energy of the region create the perfect backdrop for a holiday full of adventure, discovery and rejuvenation. There’s so much to see and do here. Simply refer to your Lonely Planet guide for extra ideas. Recommended activity: Book the 11.00am lake cruise from the booth located at Queenstown steamer wharf. Day 9: Drive to Dunedin. Enjoy the scenery and stops along the way. Visit Olveston House and the town. Day 11: Drive to Akaroa. Day 12: Akaroa nature cruise. Today is a long driving day so an early start is recommended. You ideally want to arrive in Akaroa by mid-afternoon to make the most of this idyllic town. The most French town in New Zealand, Akaroa will have you entranced with its historic buildings, magnificent harbour and passion for fine food. The best way to explore Akaroa is on foot. Begin at the information centre, which is on the corner of Rue Lavaud and Rue Balguerie. You'll find brochures and maps that will help you to decide where to walk. Enjoy dinner at one of the best local French-themed restaurants and the wonderful nature cruise. It’s time to drive back to Christchurch and say farewell to New Zealand remembering the fun times you’ve had, interesting people you’ve encountered and the beautiful scenery you’ve experienced. When you join our travel club you'll receive "Getaway Cash" travel credits (also called GCash travel credits). These credits give you access to travel industry wholesale pricing. You also get expert travel agent assistance to help plan your holidays. That includes sourcing the best value tours, cruises, flights and accommodation. "Getaway Cash" travel credits reduce the price of your holidays from retail down to travel industry wholesale. It's like discounting, only for-real and better. Each credit is worth $1. Savings off retail can be as high as 40%. Each Australian Escapes Free Flights Voucher (FFV) is worth $100. They reduce the price of flights in selected travel packages. On some domestic travel you can get 100% free flights. Customize a travel plan for you that will delight you with the value you'll receive. Save you money off what you can book yourself or through a traditional travel agent. Save you time, headaches and frustration by avoiding the common and costly mistakes DIY travellers make. Take the worry out of travel for you by professionally handling the details. Go to work for you to find you the lowest prices for your travel plans. Provide you with access to a wider range of travel suppliers. Give you the benefit of our destination and supplier knowledge. Your initial 5% deposit is held in our PayPal account and will be released back to you if you do not proceed with the travel package. (Bank transfer option available.) After approval, this and any further deposit paid is applied within 24 hours to various components of your travel package and remitted through to suppliers. Reservation status may be verified with the supplier after remittance. Confirmation of such booking(s) will be sent to you on request within 7 days. 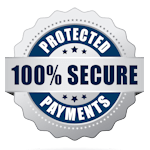 Final payment, when received is applied in the same way. Supplier confirmations including vouchers and e-tickets are then sent to you for all such finalised items.